Are you looking for a flexible, personal and rewarding volunteer opportunity where you can help others? 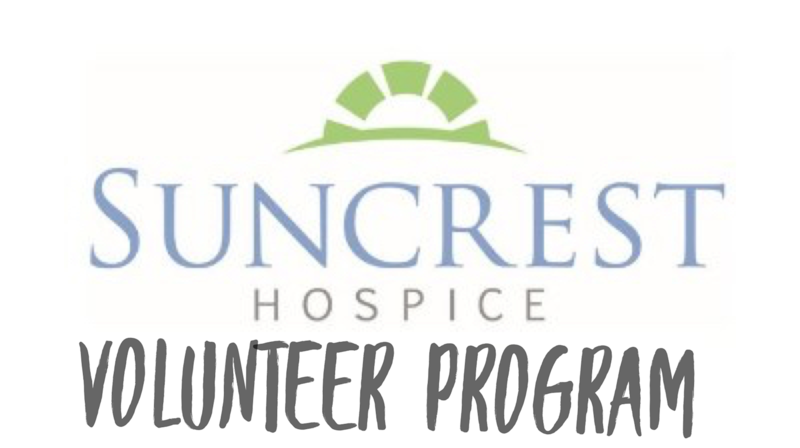 Suncrest Hospice is recruiting volunteers for the special opportunity to become a hospice companion. You will be paired with an individual receiving our services and establish a friendly visiting schedule that works for you. We ask for 1-hour visits per week, during which time you may engage in conversation and activities such as playing cards, reading, looking through old photographs, painting nails, and whatever else you and your match come to enjoy! Our patients are located at various care facilities or in their homes throughout the Chicagoland Area, so you can be matched with someone near you. We provide in-depth training for new volunteers as well as guidance and support throughout your time as a volunteer. We hope you will consider joining our team of compassionate caregivers to make a difference in the lives of those facing end-of-life. "The last great thing that may happen in a person's life is a hospice volunteer."